Are McGarrett and his team still keeping crime at bay on the ninth season of the Hawaii Five-0 TV show on CBS? 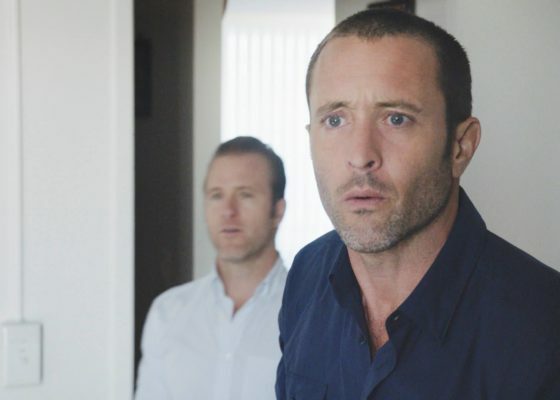 As we all know, the Nielsen ratings typically play a big role in determining whether a TV show like Hawaii Five-0 is cancelled or renewed for season 10. Unfortunately, most of us do not live in Nielsen households. Because many viewers feel frustration when their viewing habits and opinions aren’t considered, we invite you to rate all of the season nine episodes of Hawaii Five-0 below. A CBS crime drama series, Hawaii Five-0 TV show stars Alex O’Loughlin, Scott Caan, Meaghan Rath, Jorge Garcia, Taylor Wily, Dennis Chun, Kimee Balmilero, Chi McBride, Beulah Koale, and Ian Anthony Dale. Based on the 1970s series of the same name, this TV show follows the work of an elite federalized task force whose mission is to wipe out the crime that washes up on the islands’ sun-drenched beaches. The team is led by Detective Steve McGarrett (O’Loughlin), a decorated Naval officer turned cop. He returned to Oahu after Hawaii’s former governor persuaded him to head up the new team, They operate under his rules with no red tape and full blanket authority to hunt down the biggest “game” in town. .
What do you think? Which season nine episodes of the Hawaii Five-0 TV series do you rate as wonderful, terrible, or somewhere between? Do you think that this series should be renewed for a 10th season? Don’t forget to vote, and share your thoughts, below. More about: Hawaii Five-0 (2010), Hawaii Five-0 (2010): canceled or renewed? Hawaii Five-0: New CBS Hit or Disappointment? Cancel or Keep It? I Love this show. Please bring it back for season 10. Please keep 50 on. I love this show and Alex O’Loughlin is great. I never miss an episode, We need MORE. One of the best shows on TV, Please renew for a new season, just love the interactions between Danny and Steve and love the rest of the cast too! We love hawaii-five 0 and Alex O’loughlin. Is The Best show, our favorite ohana. Hawaii Five 0 should most definitely be renewed for a tenth season! Please.